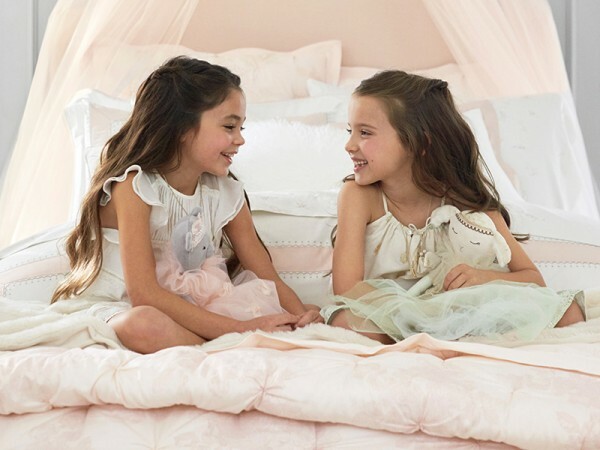 Pottery Barn Kids unveils its amazing collaborative home decor and furnishings collection with Monique Lhuillier, a name synonymous with exquisite bridal fashion – and the result is positively dreamy. If you have a little girl – or know a little girl – who loves things perfectly princessy, then we’re about to make their day. Brimming with gorgeous bedding, wall décor, furniture and toys – and those dreamy dresses you see here too – it’s easy to see this collection captures Monique Lhuillier’s sophisticated and glamorous design aesthetic. 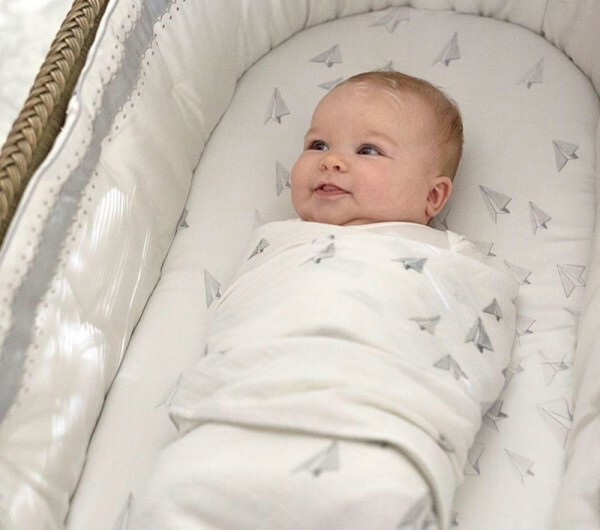 It’s hard to pick favourites when everything is just so beautiful, but I must make mention of the buttery soft bunny, elephant and lamb Security Blankets ($79) and Organic Swaddle Sets (pack of two $99) which would make for a perfect baby shower gift. And of course, for sleeping in absolute luxury, the Upholstered Camelback Bed and Headboard (from $1099) gets my dreamy vote. The toys too are a delight, from the most darling ride on animals to a dollhouse that is decadently divine. Decorating your sweet cherub’s space has never been easier, the Monique Lhuillier capsule collection sports a beautiful colour palette of grey, cream, blush pink, seafoam green and navy – you can mix and match to your hearts desire to obtain a space reminiscent of a whimsical wonderland. A simply stunning collection marking Monique Lhuillier’s first foray into children’s home furnishings and decor, we’re absolutely delighted to see it available in Pottery Barn Kids stores nationwide, as well as online.